The Austin 100: A SXSW Mix Before SXSW 2012, hear 100 handpicked highlights and discoveries in one music-packed place. Download 71 songs from The Austin 100 in a single ZIP file. SXSW is all about volume, in more ways than one. Roughly 2,000 acts perform at the four-day music festival every year, so to spend just three minutes with each in advance of the big event is to deny your friends and loved ones a solid 100 hours of your waking, undivided attention. With 100 handpicked festival highlights and thrilling discoveries in a meaty but digestible microcosm of SXSW, The Austin 100 plays as a continuous seven-hour mix — everything from Daughter's devastatingly barren "Landfill" to Black Tusk's devastatingly blistering "Set the Dial to Your Doom." (As a bonus, 71 of these songs are available for free download here.) 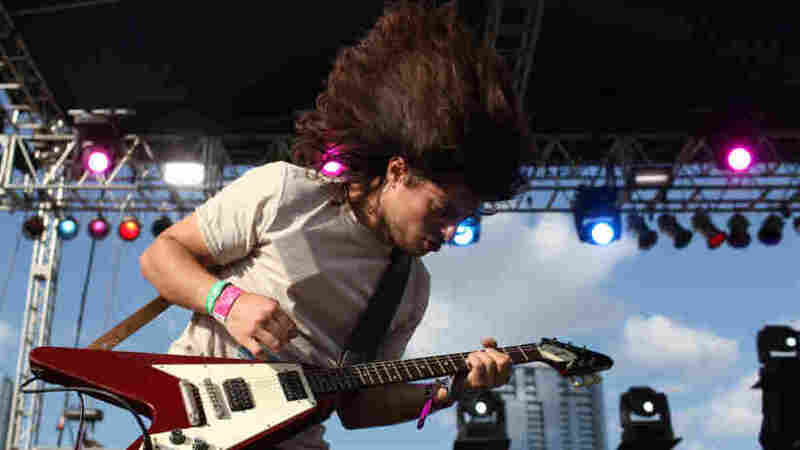 Be sure to visit NPR.org/SXSW for live concerts, photos, videos and dispatches from this year's festival. Chicha Libre, "La Danza Del Millonario"
Clap Your Hands Say Yeah, "Same Mistake"
Garland Jeffreys, "Coney Island Winter"
Lee Fields & The Expressions, "Faithful Man"
Lost In The Trees, "Red"
The Magnetic Fields, "Andrew In Drag"
Robert Glasper Experiment, "Ah Yeah"
Sarah Siskind, "Feeling For You"
Sleeper Agent, "Get It Daddy"